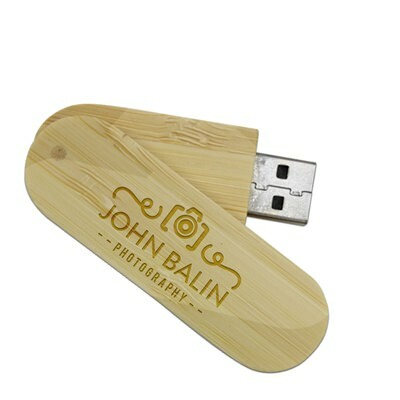 Show off your “green” side, photographers, with our Bamboo custom USB flash drives! These drives are made out of eco-friendly recyclable materials. 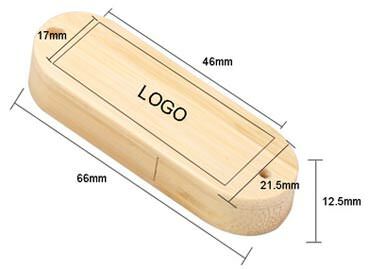 Easy on the eyes and smooth to the touch, our wooden Bamboo drives can be customized with your logo, monogram, or brand. 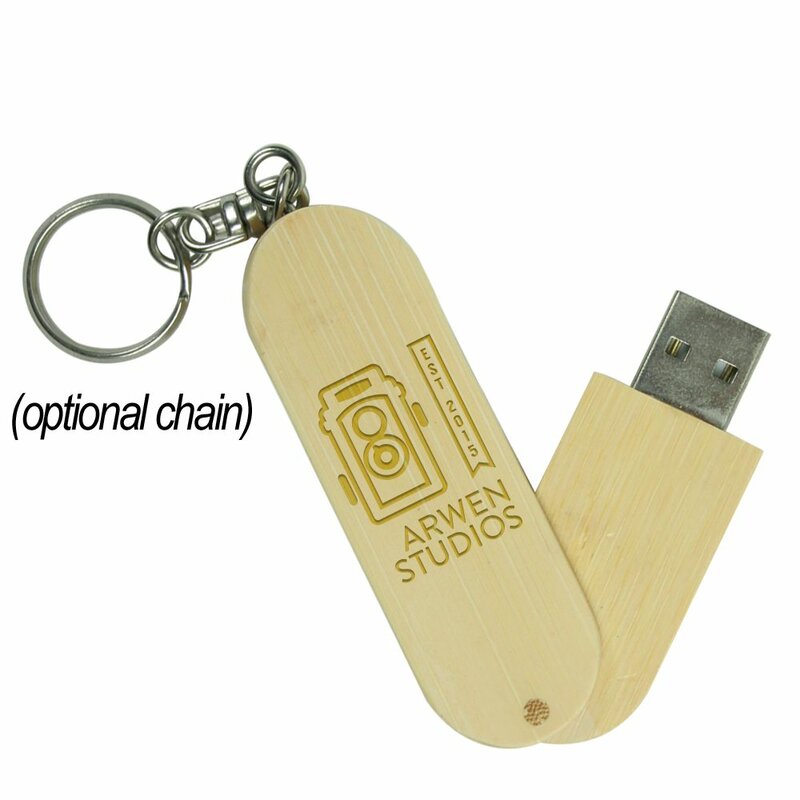 They make for a great promotional item or a wedding usb. They look great solo or in a matching USB box! They also boast large data storage capacities, making them perfect to use for backing up photos. 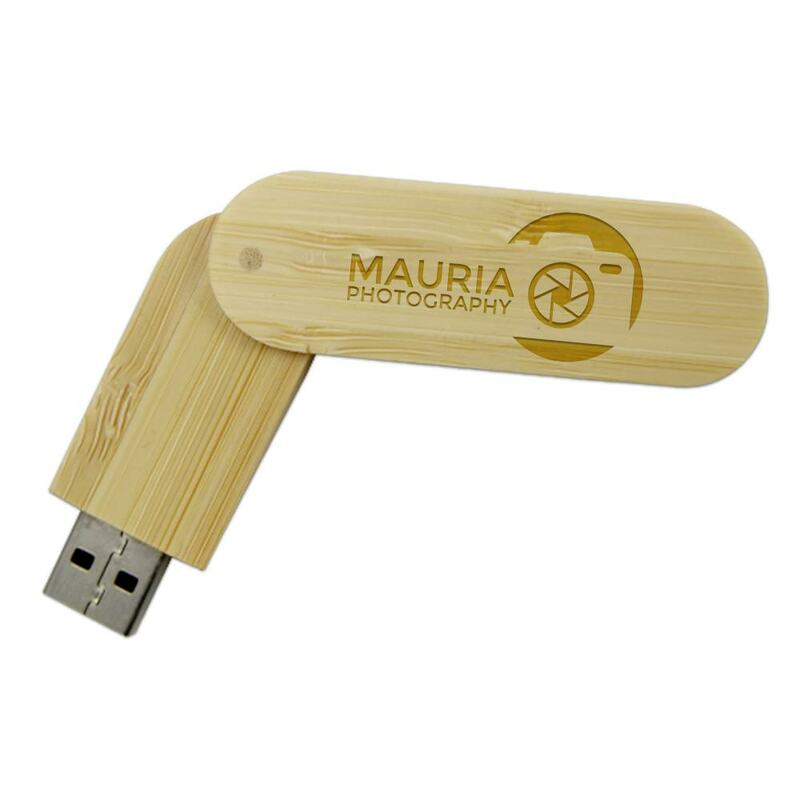 Our Bamboo USB custom drive is a great way for photographers to back up their photographs, spread the word about their business, and show off their “green” side! 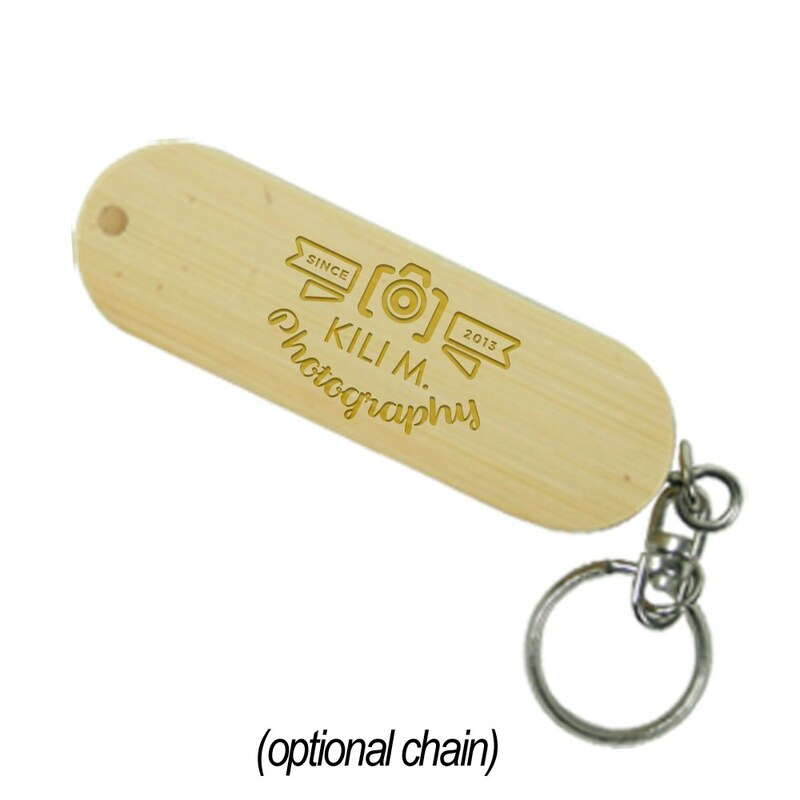 Each Bamboo drive is made out of renewable and highly durable bamboo wood, making it a great way to show off your commitment to the environment! It comes with a removable cap and a rope loop for easy transport. 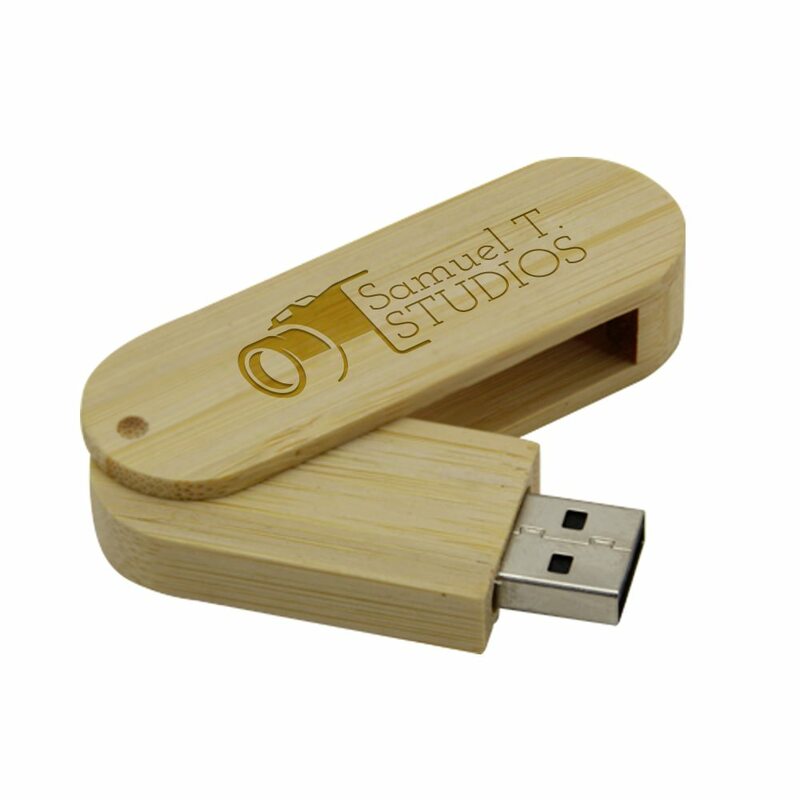 The Bamboo drive comes with a large data storage capacity, and can be customized with your logo or brand. Customize the Bamboo drive and it’ll make for a great promotional item to hand out at weddings, family events, and corporate functions.